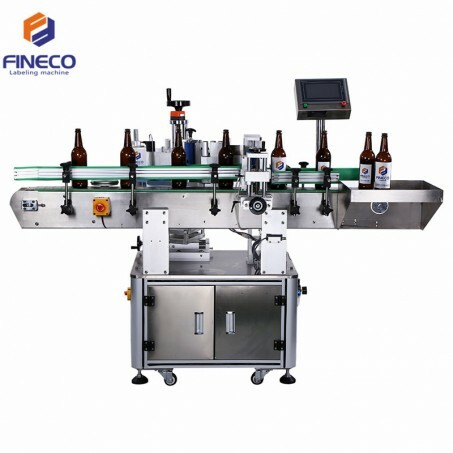 Donguan Fineco Automation Technology co.,Ltd has become a leading role in standard and custome-made labeling machines manufacturing. The Wine Bottle Labeling Machine we manufactured is already exported to American, France, Australia, Germany and 20 other countries and regions. Our company has always focused on research, developments and innovation, and been rated as Chinese” High and New Technology Enterprise” in 2017. We also gained the ISO9001 and CE certifications. As we are the most professional manufacturer of Wine Bottle Labeling Machine in the international market, so we got numerous of inquiries from our potential customers every day. Today we would like to share some of them with you. Message: we are a company specialized in giving solutions in markings and coding. We support our customers with different products, including label applicators. We are interested in a semi-automatic label application. Can you pass us a price? Message: We need a quotation (as well as) lead time and packing dimension of the FK909 and FK811C. We are a battery manufacturer company and want to buy this mounth a DOUBLE LAYER automatic machine. Message: Hello Dear All, We are interested in the purchase machines next references:1. Machine FK802.and 2. Machine FK 803. Please send the data sheet and price list. Note: Calculate the price to shipping Colombia in CFR term.